I have recently finished this commission for two carved Eagles in Lime which will be gilded and fitted to some Reproduction Mirror Frames. 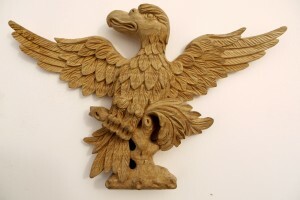 If you want to see more uploaded photographs check out my gallery, design and wood carving pages. Keep checking my site for updates on my next commission, coming soon.